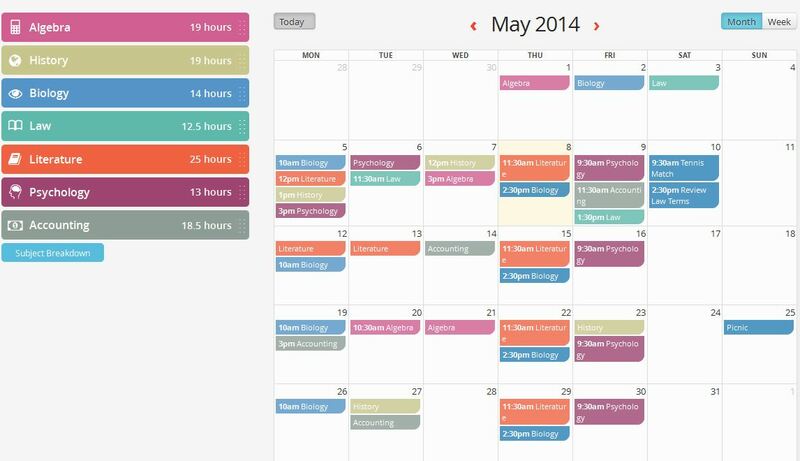 Use our Free Study Planner to manage your time effectively. Stay organized and stay on top of your schedule. Create a study schedule and take control of your learning. Success rarely occurs through accident or good fortune. It takes time, planning and dedication – particularly so when it comes to achieving study goals. GoConqr Calendar has been specifically designed to meet the needs of learners and educators, giving them a Study Planner that they can use to better organise their time and maximise their learning. Create a plan, stay motivated and feel confident. Knowing how to prepare a plan before a big exam or project is a valuable study skill to have. It means you can approach even the most intimidating obstacle with a cool head because you know how to break it down into more manageable chunks. Also remember to check your progress at regular intervals. In this way, you will avoid feeling overwhelmed by the workload and you will be able to focus on the tasks that appear in the study calendar. The more you prepare, the more your confidence and chances of success will increase. Get insights into what's getting results. The best way of knowing whether your study plan is effective or not is by keeping track of how you are performing in certain subjects over time. 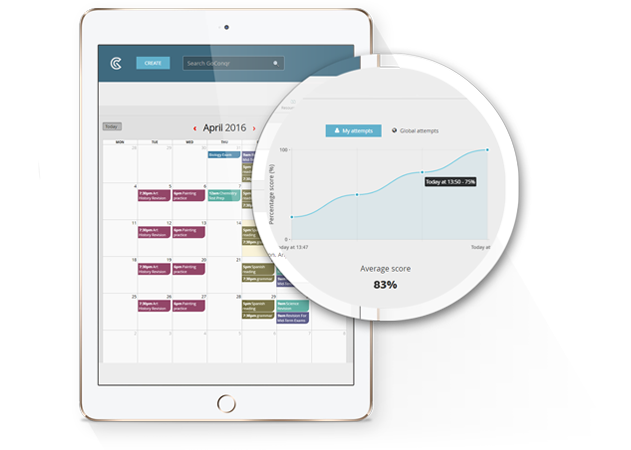 GoConqr lets you see how helpful your study planner has been by giving you a complete overview of your performance in Quizzes including number of attempts, time taken and scores achieved. You can then use these insights to analyse and optimise your study strategy to make sure you’re making the most of your resources to get the best possible results. 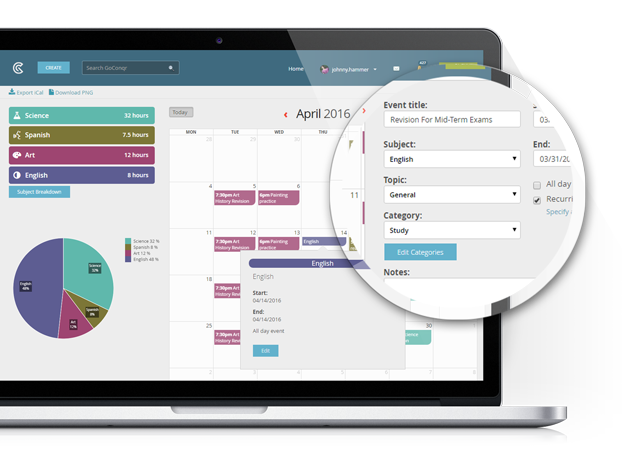 It’s easy to keep track of how much time you are devoting to each task with our subject breakdown. What are you waiting for? 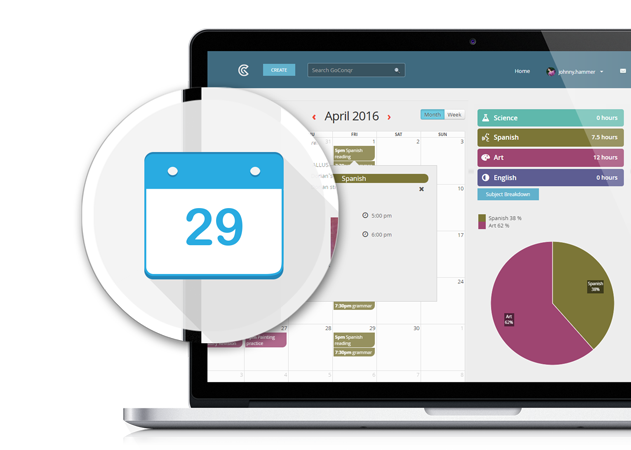 Creating an online study schedule with the GoConqr Calendar is the first step to achieving study success.